Asik Electorincs Import Export and Trade was founded in 1995. The company has started its opperations in order to satisfy the needs of plated through hole PCB’s (Priented Circuit Boards) in Turkish market. 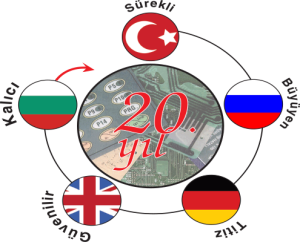 Our policy of bringing quality and reliable PCBs into Turkish Electronics market is still being executed. With the advancements in technolgy, our company offers the services of single sided, double sided, multilayer, gold coating, flexiable and alimunium PCBs. In 1996 in accordace with the needs in Turkish markets and the developing world trends, we started import export opperations of flexiable membrane switches. Research and development processes is also still going on in our company. We perform, by automatic assembly machines, the assembly of every kind of electronic circuit that is made up of SMD and THT components according to our customers’ needs and requests. In addition to our trustable services for our costumers in PCB field, we also supply Stencils that are required for the assembly of PCBs on request. With the exprience and the knowledge gained in 22 years, and customer-centered performance, we are here and ready to serve you.